The technology developed offers high speed & high accuracy cutting performance for roll soft material, remain ahead of competition! RDC-PR series are specially designed for die cutting products with low noise, low vibration, high accuracy and high productivity, also it can be used in Class 1000 clean room. 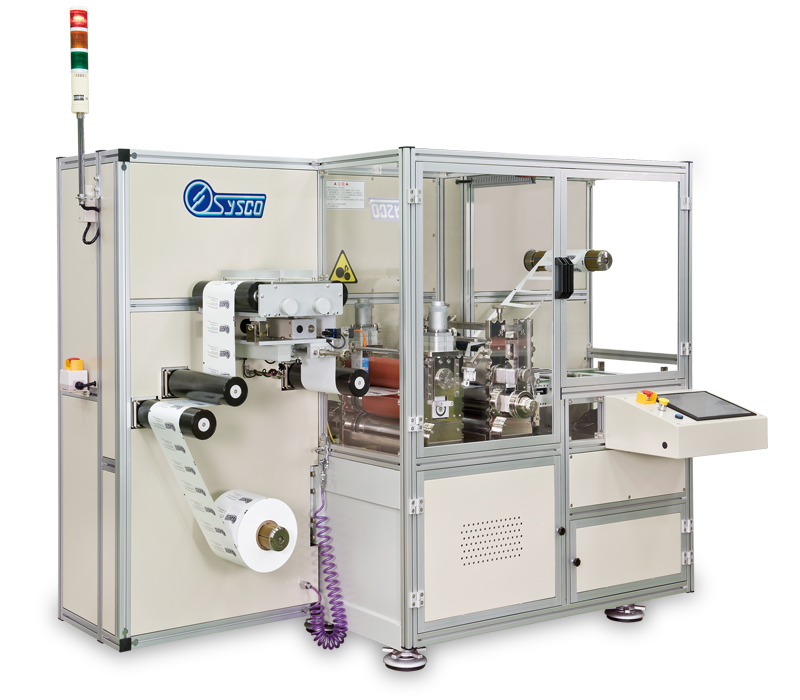 RDC-PR is suitable for roll form soft material : film label, protective film, electronic Foam, liquid crystal display film sheet (backlight element, LCM), biotech medical supplies…etc. Sysco designed program specially, you can ensure the highest precision at any time and on any job. 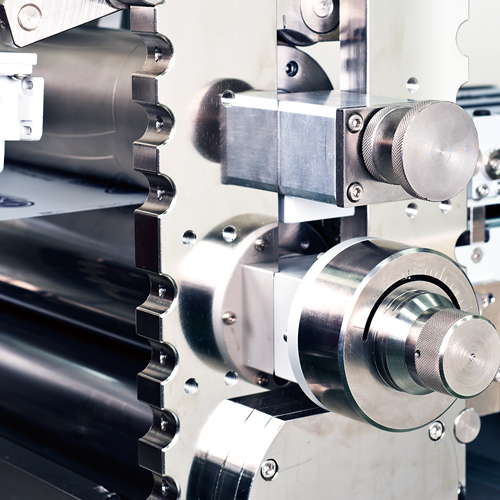 Continuous engineering assistance to help you and your team get the most out of your machine on your existing and new product. 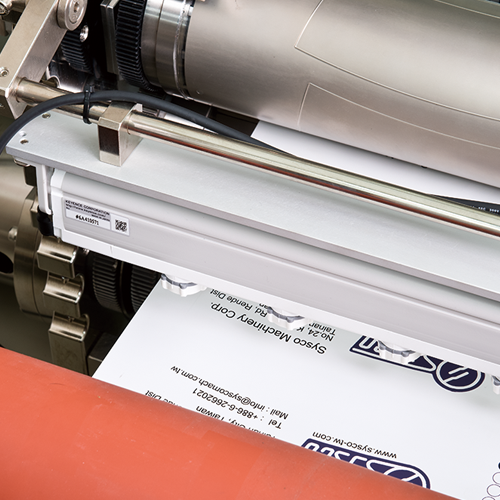 Sysco is always working on new projects, new materials and new challenges so if your product requires either more lamination/cutting stations or a wider web width, do not hesitate to contact us or submit your project. We serve your most ambitious project! 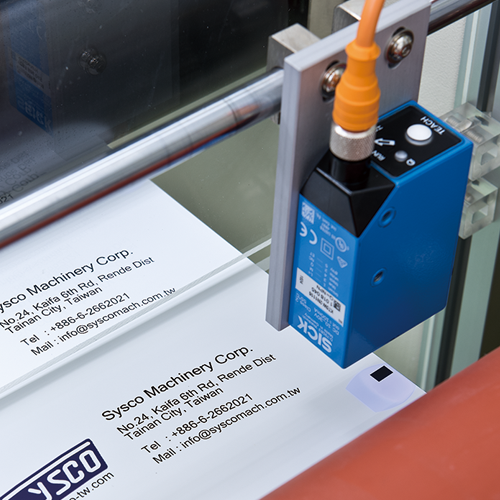 The specialty of RDC system is that it provides rotary die cutting which can highly increase cutting speed. Especially combine with our self-developed control software, it not only makes accurate precision but also raise the product capacity efficiently. Materials are in roll form, cut parts are in sheet form. Die set feeding is controlled by servo motor to ensure the precise positioning. Driven by the servomotor minimizes the noise and the vibration. Machine running all by servo control, without oil contamination of hydraulic system, it can be used in Class 1000 clean room directly without any extra appliance. Active edge tracking device maintains the even feeding of material. Automatic finished stacking system reduces manpower. Special mechanical design which can do fine tuning for cutting depth, in order to achieve the best cutting status for various material. Tracking of persons and animals. Toll collection and contactless payment. Machine readable travel documents (E-passport). Identification labels and traceability labels. Perfluoroelastomer seals and custom molded shapes. Shock and vibration control materials.